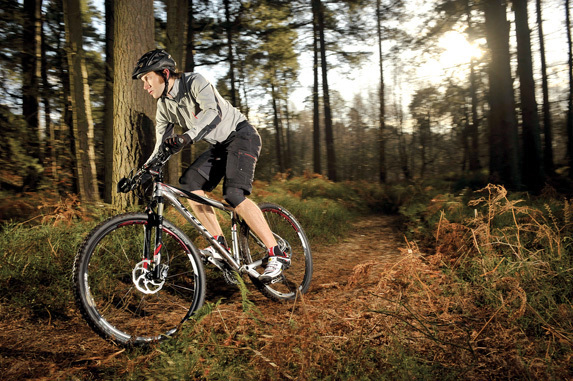 What attracted you to the Scott Scale Elite 29 in the first place? My feet hang off the end of the bed and buying trousers is almost as much of a pain as the legroom on budget airlines. Put simply, I thought I’d look more in proportion riding around on big wheels. I already owned a 26in wheeled Scott Scale that I bought primarily for adventure racing and doing things like the South Downs Way in a day, so I was really intrigued to see what the benefits (or not) there would be to a larger-wheeled version of the same bike. 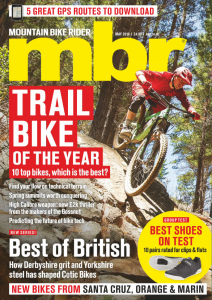 It’s also worth pointing out that 12 months ago scepticism about 29ers was rife in the mbr office and nobody else wanted to ride ‘clown wheels’ (as Danny referred to them in a text to me at the time). Oh how things change. Not much. I flipped the stem upside down, which gave the bike an even more racy XC look but felt much more comfortable and controllable. The lightly-knobbed Schwalbe Rocket Ron tyres were wholly unsuitable for the slippery conditions of winter (and summer! ), so they got replaced by some Bontrager 29-4s which were much more secure, although their larger girth meant the rear tyre barely fitted between the chainstays. Being a hardtail there wasn’t really much setting up to do, so yes. It was fast. Particularly when the trail opened out a bit, it just flew. Two rides really stood out, strangely at opposite ends of my time with the Scott. The first was back at Christmas on my home turf. It wasn’t a very technical ride (mainly interesting bridleways) but it’s one I’ve done a lot over the years. Never have I completed it at such speed as I did on the 29er though — the wheels just held any momentum invested in them and rolled and rolled. It was stunning, and highlighted why this would be a perfect adventure race bike. The most recent outing was with my girlfriend late one Sunday afternoon at Cannock Chase on the Follow the Dog trail. Conditions were dry and again the Scale absolutely ripped round. It was a real joy hammering between the trees and the big wheels really seem to flow. The increased stability you’d expect over a 26er was definitely there, but it was also really engaging and lively — happy to pop over stuff and put a smile on your face. I ran out of talent on the Roller Coaster in Woburn Sands and went over the handlebars. In the resultant mêlée of body and bike, the Scott’s front wheel and a Catchpole shin had an argument. Rather incredibly my shin won and the rim was bent beyond salvage and had to be replaced. Just towards the end I also discovered that the lockout setting had stopped working on the Reba fork, but I hardly used it anyway. Apart from the tyres, possibly the size. I went for a L purely so there was slightly less weight for my skinny arms to heft around. With the seatpost at full extension I got away with it. However, in truth my gangly limbs might have been slightly better suited to an XL. Yes. Would anyone like to buy my 26in ’09 Scott Scale 35? Timidly ridden, well looked after, feels quite fast if you haven’t spent the last year bombing around on the 29in version. Like the bike but not the price? We also highly rate the cheaper version, in fact it’s our Bike of the Year. 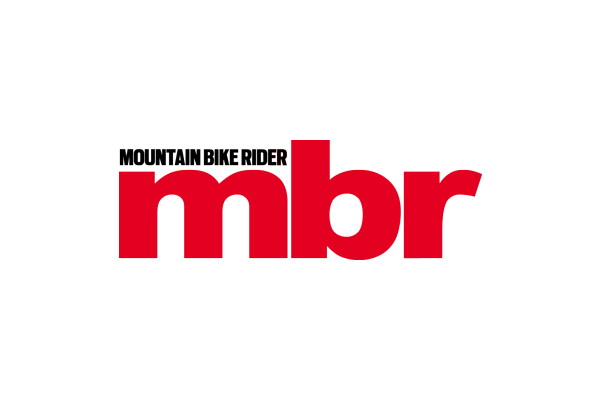 This article first appeared in the November 2012 issue of mbr magazine.